Retired from teaching after many years and now engaged in facilitating courageous conversations, I believe that it is critical that we enter challenging conversations with open minds and hearts. How will we ever overcome the damage, hurt and pain of the past unless we learn from our past and choose to address the roots of the attitudes, policies and practices that have gotten us to where we are today? Many express the desire to have people in office who are not career politicians but we are not willing to accept their impolitic responses or to hear them out. Northam has asked to open a conversation about racial justice, which is what we all need. Actually, there is a need for many conversations about racial justice with actions to follow to address the historic racial injustice in this country. Whether Northam remains governor or not is less important than a call for conversations about racial injustice and the critical work that needs to follow those conversations. If every public person who is guilty of horrendous indiscretions is banished and never given opportunity to publicly wrestle with their past challenging behavior and rectify it, how will they (we) benefit from the lessons learned? 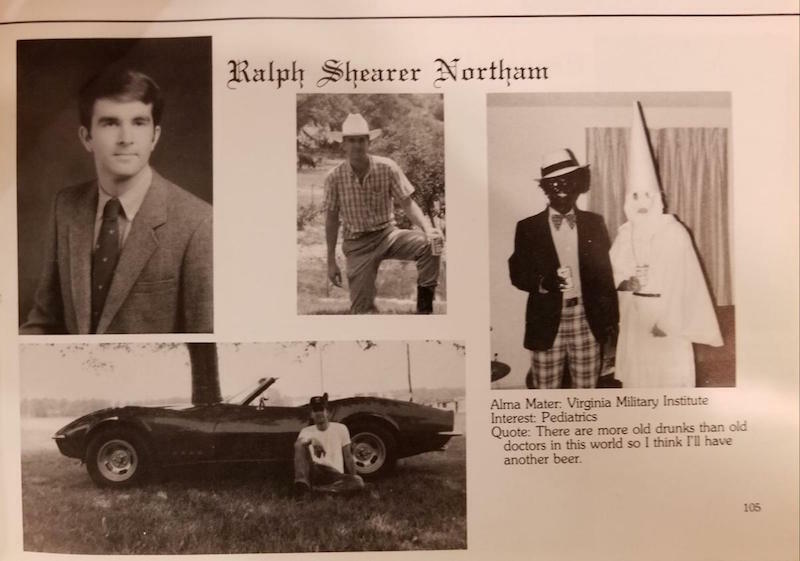 Beyond finding out the facts and getting to the bottom of the attitudes that led to the photograph in Ralph Northam’s yearbook, we need to uncover the truth about the origins of those attitudes. How those attitudes have led to the divisions present in every aspect of our country must be addressed and remedied. Liberals and conservatives alike are locked in their separate corners, neither willing to hear the other nor open to honestly addressing the challenges of our country. Do we believe it is possible for attitudes and actions to change? Are we all doomed by the actions of our past? I believe we can change but unless we are willing to engage in courageous conversations to address our challenging past, our country will be destroyed. Even Abraham Lincoln and Thomas Jefferson along with many of our honored leaders of the past had to wrestle with their own contradictions. Do we recognize that a country "divided against itself will not stand?" Jacquelin McCoy is a retired mathematics educator who was raised in Richmond, Virginia but is now a long time resident of Columbia, Maryland. Currently, she serves as a Dialogue Facilitator and is very active in her community. She serves as a member of the Local Children’s Board Equity Committee, the Chair of the Equity and Race Peer Learning Network, an Executive Board Member of Youth in Conversation for One Howard, a member of the Advisory Board for Talk With Me Howard County and as a Workshop Trainer for Talk With Me Howard County. Her desire is to see the world healed from the hate and division that is seeking to destroy us all. Jacquelin earned her bachelors degree in Mechanical Engineering from University of Maryland College Park and her masters in Secondary Mathematics Education from Johns Hopkins University.